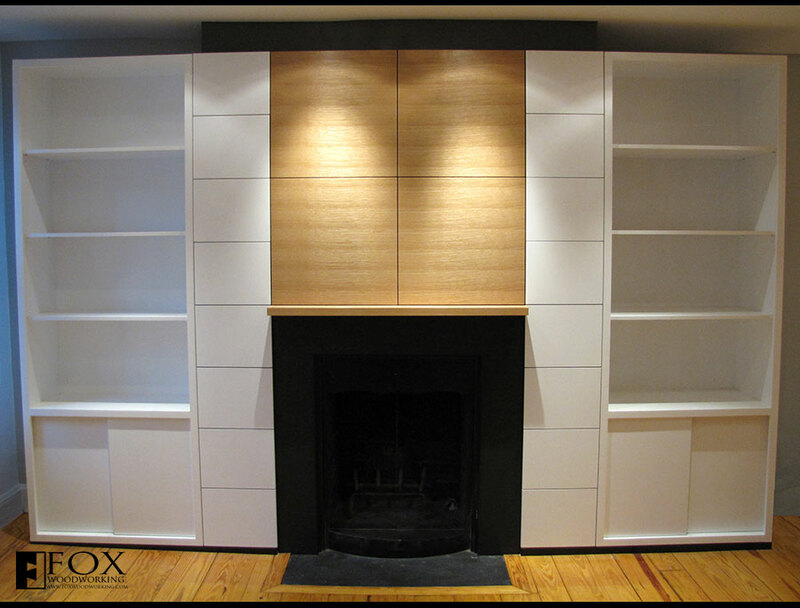 This rift sawn white oak mantle is flanked by two white bookcases. Below the bookcases, there are cabinets with sliding doors. 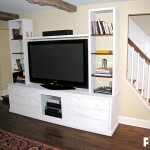 The sliding doors allow furniture to be placed closer to the cabinets since the doors do not need space to swing open. The sliding door hardware is from Häfele. 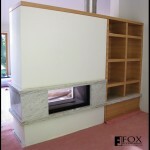 The mantle provides an excellent place to display artwork or mount a flat screen television. 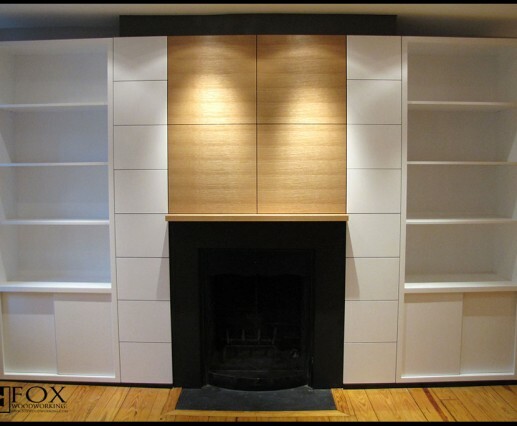 The surrounding bookcases provide ample storage for books or mementos while the lower cabinets can be used to house the various electronics necessary for the entertainment center. Below the mantle, the fireplace is surrounded by honed black granite. The interplay of these materials really grabs your attention as you enter this house, which is in the Rittenhouse Square area of Philadelphia.